Yesterday I picked up tickets for Sebadoh’s London show later this year. I’ve never seen them before and Lou Barlow was and remains a pretty major influence on me as a musician, so I’m fairly psyched about this. I caught the New Folk Implosion line-up at Reading in 2001 and they were really good, but that’s the only Barlow-related gig I’ve ever seen. The ‘Doh pulled out of Glastonbury 1999 (as did Elliott Smith, curse my luck), which was the only previous time I was going to see them. I avoided the resissue-promo/nostalgia tours. So this is it. Jason Loewenstein, new drummer Bob D’Amico and Lou Barlow, at Dingwalls. Yeah, looking forward to it. So I’ve been listening to Sebadoh since Thursday, more than I have in a long, long time. When I’ve been listening to an artist for a long time, eventually I stop wanting great albums and grand statements from them. There comes a point where I know what I think of them, I feel like I’ve got a good handle on their catalogue and all I really need with each new record is one or two songs that stand comparison with their best work. That’s all: a couple of songs to add an iTunes playlist. Barlow’s solo debut, Emoh, gave me Legendary, a better version of Morning’s After Me (the original was from the Colonel Jeffrey Pumpernickel multi-artist concept/compilation album) and Holding Back the Year. Thanks, Lou. On to the next one. Goodnight Unknown had The Right and The One I Call. Yeah, he’s still got it. Once you’re in this mindset, it changes the way you hear the back catalogue. You get less concerned with creating lists and taxonomies and Top 5s, and more with the overall shape of an artist’s career. You become aware, perhaps, that there are different accomplishments in music. I reckon Barlow’s one of the best songwriters of the last 25 years or so. He’s probably never written a genuinely great song (a Heard It Through the Grapevine, a Strawberry Fields Forever, a Someone to Watch Over Me – something of that calibre), but he’s written dozens of really good ones. I’m not sure whether that’s a greater achievement than managing to focus all your talent into one flawless song. The pop fan in me says it isn’t; the rock fan says it is. No surprise there. If he ever made a great album, I think it’s the Folk Implosion’s One Part Lullaby, a sorely underrated record I’ve talked about here before. The nature of Sebadoh as a band, with its shifting line-ups and sometimes strained attempts to run itself as a democracy, always made it unlikely that they ever would make a sustained, consistent and great work of art. Lou was too likely to mawkishly overshare or indulge in another anti-Mascis rant; Eric Gaffney was too likely to come unglued (working out what distinguishes a good Gaffney song from a bad one is an entertaining, hilariously difficult enterprise) and unleash an Elixir is Zog rather than an Emma Get Wild. For me, and I think many long-time fans, this is the point of the band. Barlow’s songs don’t work without Gaffney’s, or Loewenstein’s. Repeat sentence, change the order the names appear in. Listening to the band is like listening to the White Album writ large; the whole is greater than the sum of the parts, and the best stuff is made better by rubbing shoulders with the questionable. But still, somefans are strangely apt to respond positively to one small era of the band’s history and disregard the rest. 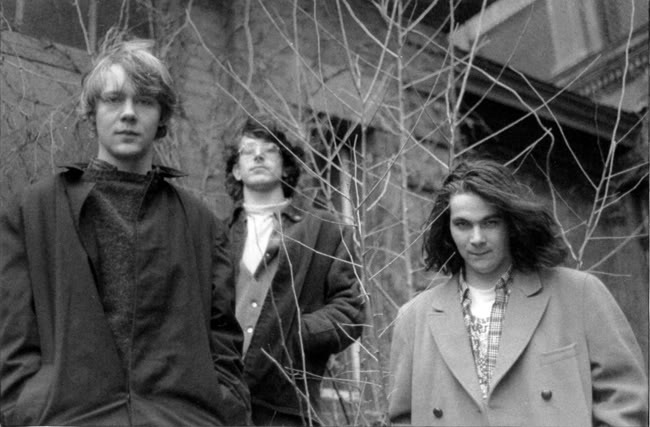 III is the oft-cited early 1990s lo-fi sprawlathon that launched a thousand home-taping imitations; Bubble & Scrape the last hurrah of the Gaffney era; Bakesale where the band turned up the drive on the guitars and Jason matured into a songwriter capable of providing an energetic, humorously aggressive foil to Barlow. But these fans, whether they champion III, Bubble and Scrape, Bakesale or, in those rare cases, Harmacy, will all agree that The Sebadoh was a stinker (I actually like it a lot), and they’ll usually have little time for what came after/before their favoured era, sometimes repudiating it entirely. The band have achieved elder-statesmen status now so the consensus opinion is mellowing a little, but 10 years ago there were a lot of former ‘Doh fans who didn’t want Barlow around reminding them of the confused awkward teenager they used to be when they listened to this stuff. For me, that’s not what this band was about. If you like Sebadoh, how can you not appreciate Jason Loewenstein, who’s been a far more effective long-term foil to Barlow than Gaffney ever was? A punk-rock kind of guy with a useful sideline in smoky ballads, latter-day band recording engineer and all-round decent dude, Loewenstein got stronger and stronger as the band went on. There’s no one record containing top-level work from the three principal songwriters who have been members, either because they weren’t in the band at the time, or because they had only just joined, or because they were just a kid drafted in at a moment’s notice. Many things made Sebadoh great, not all of them present at the same time, and so there’s no defining Sebadoh record, and neither is there a best one. This entry was posted in Music and tagged 1990, a Strawberry Fields Forever, Bakesale, Bob D'Amico, Bob Fay, Bubble and Scrape, Colonel Jeffrey Pumpernickel, Dingwalls, Dinosaur Jr, early 1990s, Elixir is Zog, Elliott Smith, Emma Get Wild, Emoh, Eric Gaffney, Folk Implosion, Glastonbury, Goodnight Unknown, Harmacy, Heard it through the Grapevine, home recording, J Mascis, Jason Loewenstein, Legendary, lo-fi, Lou Barlow, Morning's After Me, olding Back the Year, One Part Lullaby, Reading, Sebadoh vs Helmet, SebaIII, Slacker#, Smash Your Head on the Punk Rock, Someone to Watch Over Me, The New Folk Implosion, The One I Call, the right, The Sebadoh, The White Album, White Album on July 26, 2014 by rossjpalmer.